After renewing his friendship with Black Ryno, dancehall artiste Aidonia and Bounty Killer has also renewed their friendship. The Alliance and J.O.P bosses officially made the move towards unity with the recording of a song call Mac 90. According to Bounty Killer, who Aidonia credits as being his main influence in becoming an artiste, there has never been a real conflict between the two. "Killer and Aidonia been doing songs before and there was never a conflict between us. You have never heard I say nothing negative about Aidonia, likewise, he has never said anything bad about me," he said. According to Bounty, Aidonia made a bad decision splitting from the Alliance along with Vybz Kartel, however, it, understandable considering the situation he was faced with at the time. "There was a split in the crew and he made a bad decision by going with Kartel as it was Kartel who had introduced him to me, so I can understand. If you bring me into a movement and you leaving and said I should too, I would have no other choice but to follow along," said a seemingly understanding Bounty Killer. The veteran deejay also disclosed that working with the former Alliance member again was a joy and he has seen growth in Aidonia as an artiste. more accurate vocally now, and much more developed, mature and ready so it was easy working together," he said. Bounty Killer also said that the song is very promising and looks to be even more promising than their last collaboration. "The response is tremendous, people like it when we collaborate, and I'm sure it's gonna be bigger than the first one. The excitement it's causing tells us that straight," he said. The artiste further stated that there will be more collaborations between Alliance and J.O.P and that the fans should continue to lend their support to dancehall unity. "The fans who love the unity keep listening, more surprises coming and you can expect more collabs from ANG, JOP," Bounty Killer said. When contacted, Lavarcam Lawrence, Aidonia's manager, said that the song was already doing well. "The streets love it because a two great artistes. It's just like the one we did on the 12 Gauge Rhythm so it's a good look," he said. According to Lawrence, Aidonia is not only poised to do more collaborations with the Alliance but is also focusing on exposing the members of J.O.P. Aidonia recently returned from Barbados where he performed at Kensington Oval at Slick Rick's Birthday Bash. 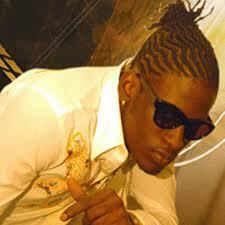 The last collaboration between Bounty and Aidonia was done in 2009.